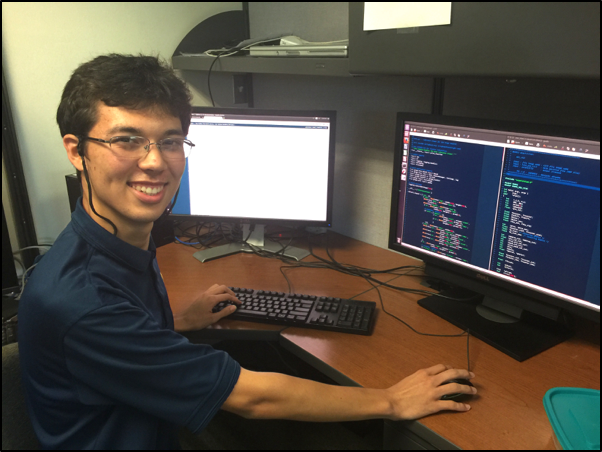 Justin is a rising sophomore at the Olin College of Engineering in the Greater Boston Area. Having grown up in Kailua, Hawai‘i, he has always had a strong interest in the STEM fields, though he has still not decided what area of STEM he would like to pursue. His mains goals in life include contributing to the fields of sustainability and space travel, making a positive impact on the world, and growing old so that he can retire and play video games for the rest of his life. Subaru Telescope possesses a unique instrument called the Multi-Object InfraRed Camera and Spectrograph, otherwise known as MOIRCS. MOIRCS uses telescope masks containing thin slits, which must be lined up very precisely with the targets of the spectrograph. The software that exists for this purpose, MOS Acquisition, is outdated and difficult to use. It uses PGPlot, a C library for displaying images that was last updated in 2001. The outdated nature of the software causes it to be unintuitive, as the cursor often teleports around the screen unexpectedly, and upon clicking, the user is often left with no indication as to whether the click registered or not. To rectify these issues, the MOS Acquisition software was rewritten in Python using Ginga, an astronomical image-display program written and maintained by Subaru’s software division. Because Ginga is more modern than PGPlot, it conforms to many of the standards expected from modern applications, such as buttons that visibly depress when you click on them, and a red ‘X’ in the corner that can be used to abort the program at any time. Many useful features were also added, such as undo and redo buttons, allowing actions to be revoked at any time. The final program is far more user-friendly than the original MOS Acquisition program. It will save astronomers on the summit significant amounts of time to be spent observing with, rather than aligning, the telescope.